Congratulations to the 2018 IPhO VIP Case Competition Award Winners! On March 17, 2018, at the Annual National E-Board Assembly in Nashville, TN, IPhO National Fellows Council (NFC) Co-Chief Zachary McCormack, PharmD, Global Commercial Oncology Fellow, Sanofi Genzyme, announced the winners of the 2nd Annual Value of Industry Pharmacists (VIP) Case Competition. 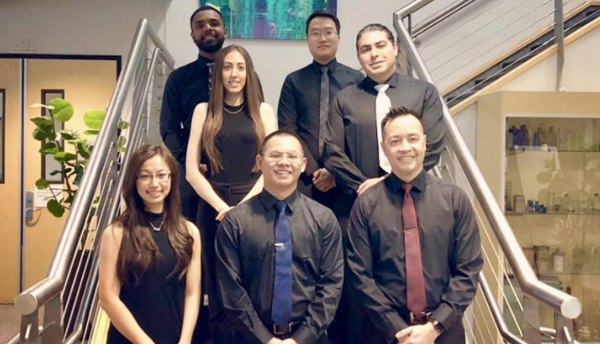 California Northstate University College of Pharmacy IPhO Student Chapter was awarded 1st place for their outstanding creativity and demonstrated knowledge of the drug development process. This competition—the first of its kind in the industry—tests students' pharmaceutical commercial development knowledge and allows them to apply what they know through an industry-based case scenario. This year, 29 student chapters participated in the competition. California Northstate University College of Pharmacy received a cash prize of $1,000.00 for their 1st place submission. Their winning video provides a detailed overview of their proposed new drug, Shakaragon® (molibutide), for the management of type 2 diabetes. University of Illinois at Chicago (UIC) College of Pharmacy took home the 2nd place prize, a cash award of $500.00, and the University of Connecticut (UCONN) School of Pharmacy placed 3rd and received $250.00. Congratulations to all three of our winners and all 29 chapters who participated in this very competitive case competition. IPhO would like to recognize Sanofi Genzyme for their generous support of this competition.